Since 1999, CosMedix’s mission has been to use the science of nature to deliver maximum skin care results. From day one, CosMedix has sourced the finest ingredients from all over the world. Borrowing from Nobel Prize-winning technologies and blending them with pure botanical ingredients to create skin care that affects real change. 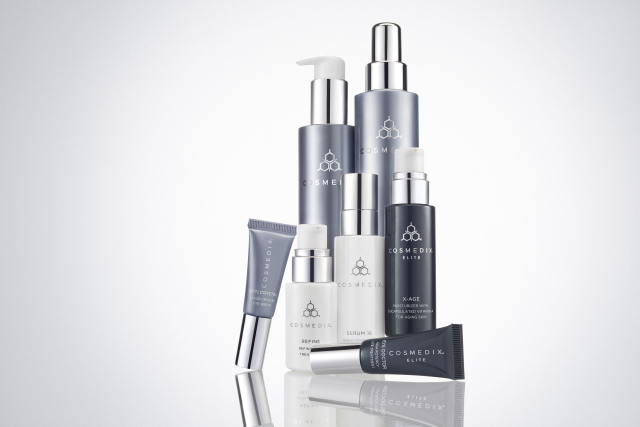 CosMedix is a dedicated, Chirically Correct skincare range designed to improve the appearance and health of your skin. CosMedix is committed to using the most current, natural and effective ingredients available. Free of preservatives, artificial colours, biological (ingredients associated with animals or animal testing) or synthetic fragrances, this range is suitable for all skin types. The intersection of science and nature is what makes CosMedix a leader in the industry and trusted by physicians, aestheticians and consumers all over the world.